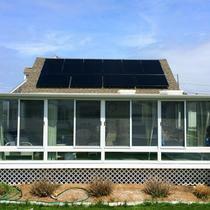 Sunlight Solar offers a 10 year labor warranty. Contact your regional Sunlight Solar office to learn more. 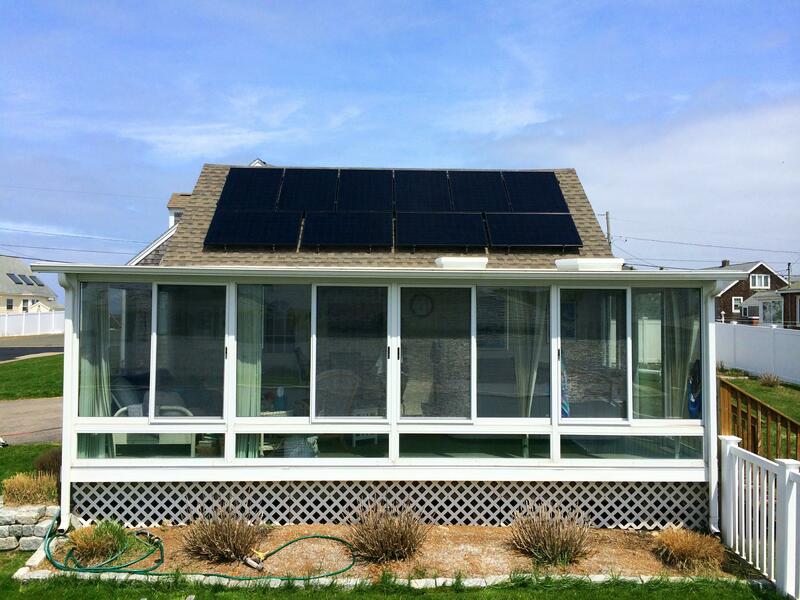 ASES, SEBANE, NESEA, OSEIA, CT Green Bank-approved installer. 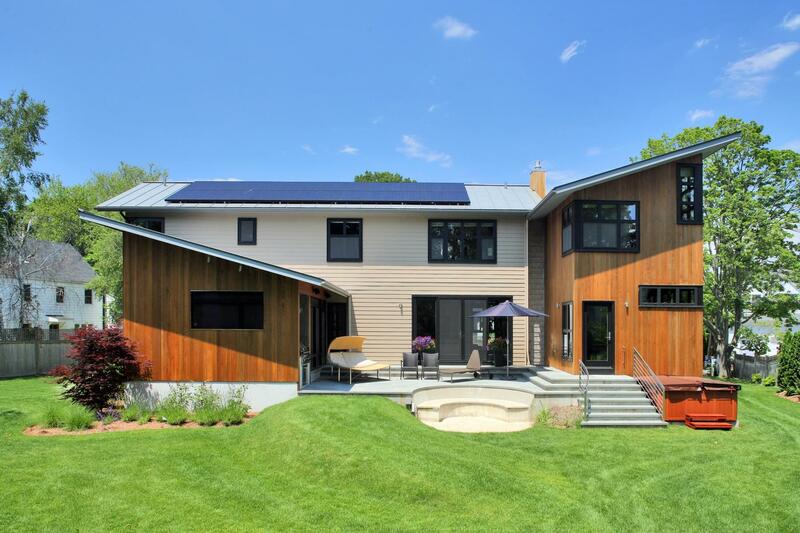 With over 30 years of solar installation experience, Sunlight Solar Energy provides professional photovoltaic services for residential and commercial properties throughout Oregon, Colorado, Connecticut, and Massachusetts. Our team of experts and energy enthusiasts are devoted to producing the most efficient and eco-friendly systems in the industry. From planning to power-on, we assure that our clients receive the best service and education surrounding their new panels. We’re excited about the future of energy here at Sunlight Solar, and we look forward to standing by your side when you take the next step toward renewable energy. 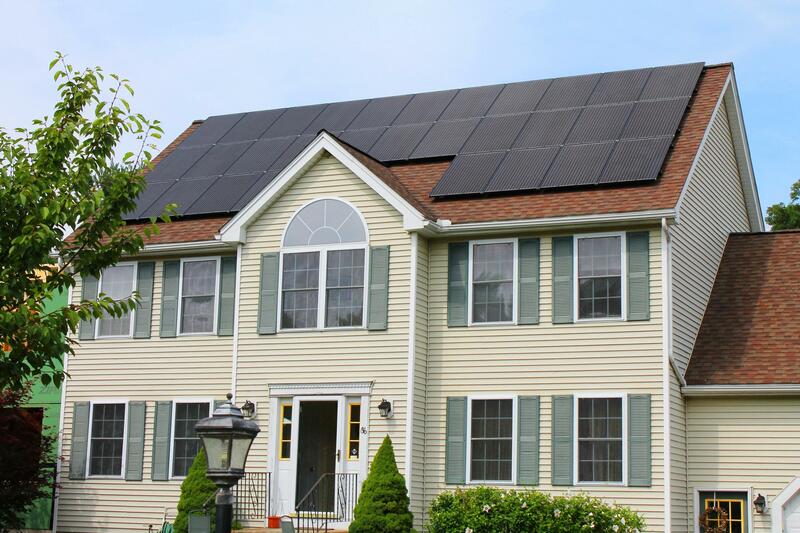 Sunlight Solar provides professionally designed systems and installations, complete with excellent communication, timely follow-up, and outstanding customer service. We help you take advantage of the best incentives, rebates, and tax credits available in your state. We pride ourselves in our turn-key installations that include all permits, applications, and incentive paperwork for your ease and convenience. 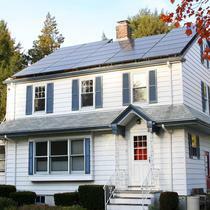 Sign up for a free site evaluation and learn how much you can save with solar. Sunlight Solar Energy has partnered with financing partners to offer products designed to suit your needs including $0-down financing programs. 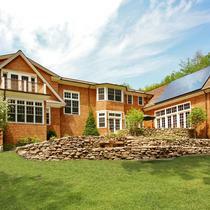 Find out why Sunlight Solar is one of the leading design and installation contractors in the US. 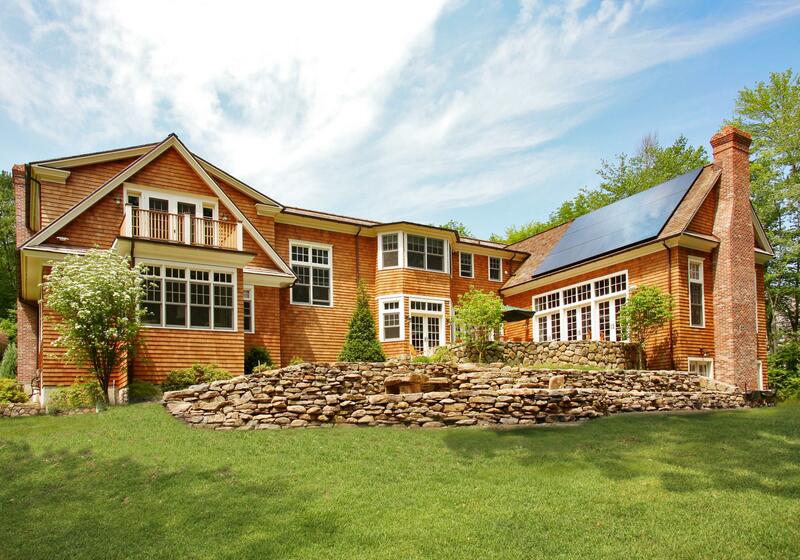 With an unparalleled level of service, Sunlight Solar makes going solar simple. 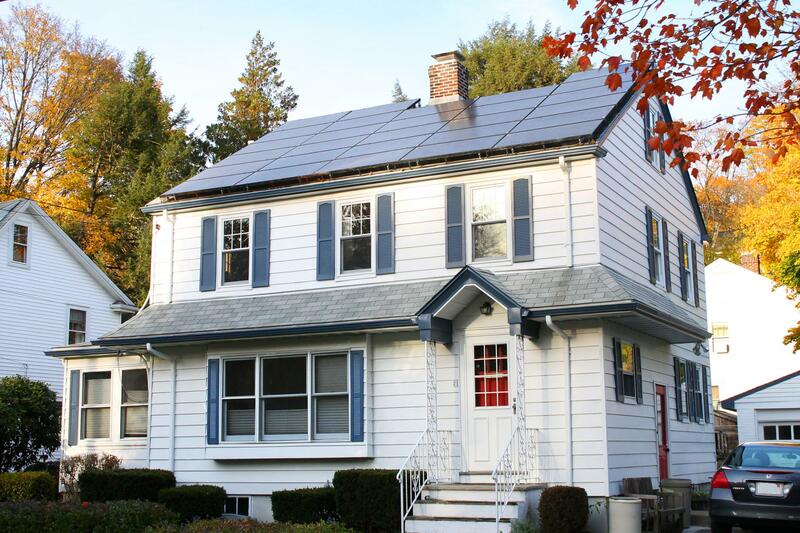 We partnered with the CT Green Bank on a short video depicting all the steps involved in going solar. "The attention to detail was extraordinary"
While I ultimately chose a different provider, Julianna was prompt, friendly and courteous, and her quote showed an extraordinary amount of detail. The quote was clear, concise and provided answers to questions that I had not even thought to ask. Top notch customer service. Excellent response and communication when we seeked alternatives and clarification about system, costs, functioning, financing, installation. "Best price and quality and super amazing customer service!" Amber, Sarah, Paul, were all amazing to work with. The system was the best price out of over 10 companies I had quoted. The worked quickly and handed everything off to me within a week after install. The system is outperforming my expectations and I was even upgraded to a higher powered system when import tariffs were created during the quotation process. My system actually produces about double what I use on a daily basis and I couldn't be happier. Highly recommend these guys and they were extremely professional in all aspects of the install. They even after the install added a critter guard to protect against birds and rodents. I would definitely get another install by these guys again! We had an issue communicating via email with this company but otherwise they seem like a great business- prompt, knowledgeable and friendly. Sunlight was wonderful to work with. From Matt Honkonen's first visit, to the quoting and contracting, to the execution and follow through, Sunlight was a pleasure to work with. One of the most remarkable features of this company is their attentiveness to customer service. They respond quickly and with the full capacity of their resources to deal with any problems that may come up, or questions you may have. Linda answers emails promptly. I do not think I ever had to wait longer then I hoped for a response to any query. All in all, an excellent experience and a great job! 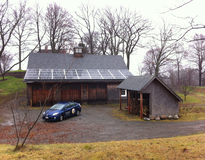 "Sunlight did a great job"
I had a small 6 panel array put on to feed our electric car. We already had a 20 panel system put on 5 years before. Sunlight was great all the way through the process. We got exactly want we wanted for a good price. The staff onsite were very nice and answered questions. They did a great job and did not leave a mess. They were 10x better than the first installer we used 5 years before. 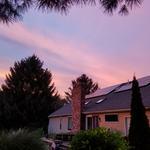 We started looking in to solar last Oct. when EcoMark Solarwas going door to door. We met with them but decided we needed to wait till the new year to pursue purchasing anything. I'm glad we did! I found Energy Sage and was able to compare multiple quotes. I discovered EcoMark's quote was $10,000 more than anyone else's. I chose to meet with three more companies and then selected to move forward with Sunlight Solar. Everyone in the company was great to work with. I highly recommend them! "Be wary of this installer"
I am not a "newbie" to solar. I started out working with 12-volt panels in the early 90's just to power my lawn mower. I ended up with a battery bank, and the various inverters I needed to operate every electrical appliance in my house. I even ran the clothes washer off my batteries. Then, I went grid-tie, encouraged by tax incentives, and the payback for putting energy back into the system. Recently, I decided to add more panels due to changing conditions at my home. I gave this site a try, and this was one of only two places to repond to my inquiry. Thank you for reaching out to customer support. SolarWorld USA has not filed any form of bankruptcy, we are moving forward with business as usual. Distributors have plenty stock available and your installer still can get US made panels for your project. Additionally, I found another company in Texas manufacturing American-Made panels, but this company's agent had "never heard of them." It just seems to me that an intelligent, well-run company would know about, and be aware of all options, and would employ people who stayed on top of their game. I have lost confidence in this company, and feel they are just trying to "squeeze" people new to solar instead of conscientiously offering a quality service. I did not think their quote was either accurate, or well-thought out. It was more like they plugged some random numbers into some arbitrary formula rather than offer a serious estimate. I really appreciated how well all the Sunlight Solar staff, from sales to install to support, know about solar tech & policies. All my questions, even the detailed technical ones about panel quality & efficiency, etc, were answered fully (unlike other solar companies that only wanted to tell me about the financial savings). The install was completed in late fall, and all metrics were up and running quickly (daily tracking & SREC registration). 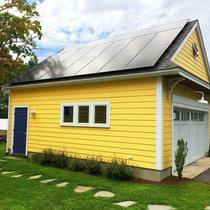 I used the state-subsidized solar loan to purchase the system, and Sunlight Solar accommodated that process & timeline well. Every time I've had a question, I get a very quick response, even now, six months later. "Quick responses and professional service "
Sunlight solar understood our needs and put together a system that will be excellent for us. We are excited to have access to clean energy from our own rooftop! We chose Sunlight Solar from three competing quotes. Sunlight showed the most professional design approach, and although their price was the highest, they offered the best value in watts/dollar, at high quality. It was always easy to contact them during the permitting and planning phase. Our interactions with them during design and installation were at a high professional level. They made sure we knew how to operate the system before they left! Although it took a long time (6 months) to get the system from concept to producing electricity, Sunlight did all the necessary paperwork for approval with our electric utility (Unitil). Our system now produces roughly 50% more than we need. Great company from start to finish.  Friendly and knowledgeable sales guy, and meticulous and informative installation team. Install crew stopped to answer my questions along the way and put up with the millions of pictures I took! Thanks for a job well done! 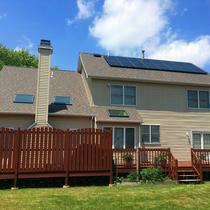 Sunlight Solar did an incredible job installing our system. Tyson was always attentive to our needs, going way above and beyond in every way. Whether it was the level of absolute integrity with the intent on the most minor details during installation, coming out in sub-zero wind chill for hours to personally deal with inspection details, or driving an hour just to come by and show us how to use the monitoring system, Sunlight Solar, and particularly Tyson, impressed us during the entire project and I would most certainly recommend them to ANYONE! 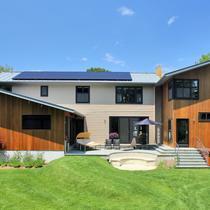 Anyone is welcome to come by and see the awesome project that Sunlight Solar did for us. Reach out to Tyson and tell him I sent ya! "Sunlight Solar is the Best!" We bid our solar installation job to three companies. 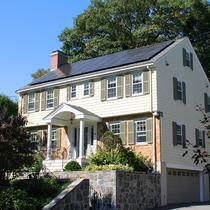 We found Sunlight Solar to be our best choice for price and value. We felt we received an honest sales presentation made by a well prepared and knowledgeable salesperson. As the installation progressed we were every pleased with the professionalism and cooperative spirit exhibited by all of their staff from office staff to installers to electricians. 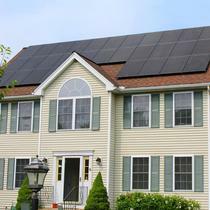 We would recommend their services to anyone interested in solar panel installation. 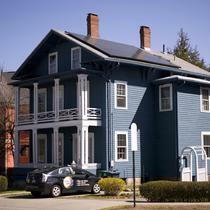 The Sunlight Solar team provided excellent service and support. 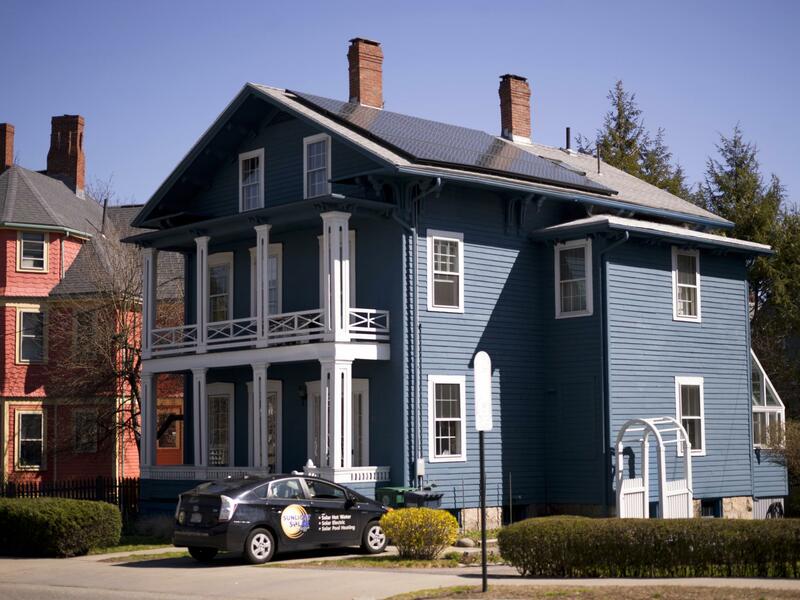 During the initial search process, the team assisted me every step of the way, providing me with detailed and thorough information of how solar systems work, the upfront costs and the savings over time. The information was presented very straightforward and was easy to understand. Questions were always answered promptly and thoroughly. The installation went smoothly with no issues and the installers were very professional. I highly recommend this company. 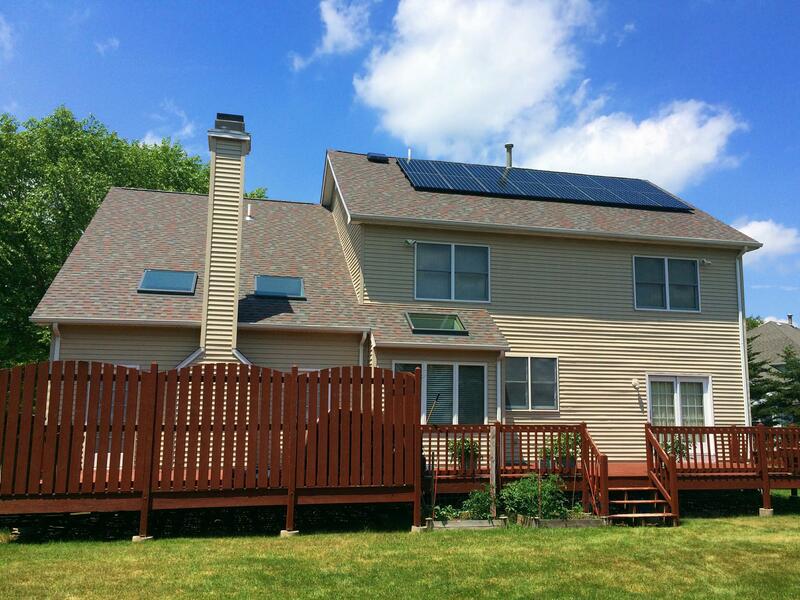 "Professional Exceptional Service from Sunlight Solar Energy"
I was completely impressed with how SSE handled all steps of my solar system design and installation. Every part of the process proceeded exactly as described. There prices were competitive. They had a great selection of panels. They also had access to great financing options. I was really impressed with SSE every step of the way. I would recommend them without any reservations to someone who is looking forward to working with a knowledgeable, professional, helpful, and friendly team. "I did the research and Sunlight Solar came out on top on all categories"
The Sunlight Solar team was very strong. A great company, great work, and a very competitive price with the best quality materials. I am very happy with my investment with this Team. They are responsive, customer focused, and know this business very well. 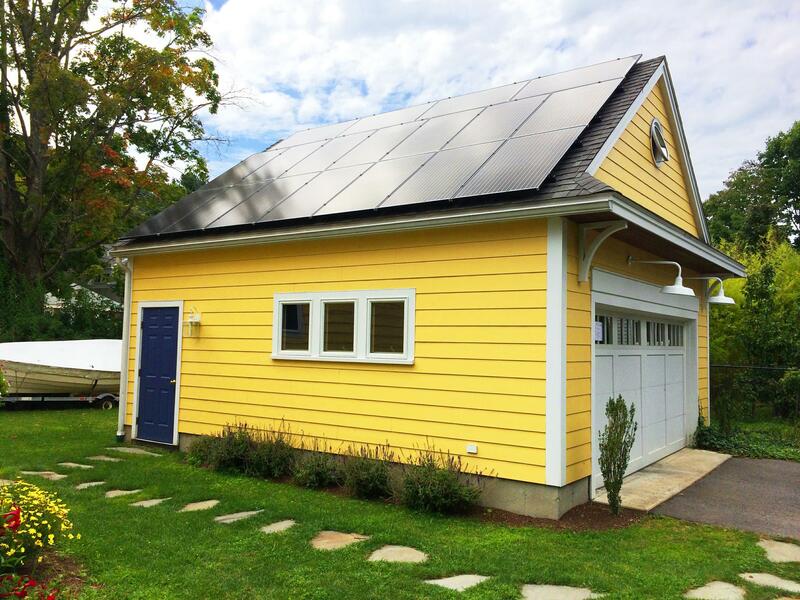 The associates at Sunlight Solar are very informative of the process associated with going solar and did a fantastic job of guiding us through it. Everyone I've worked with is courteous and they met or preceded every scheduled dead line. 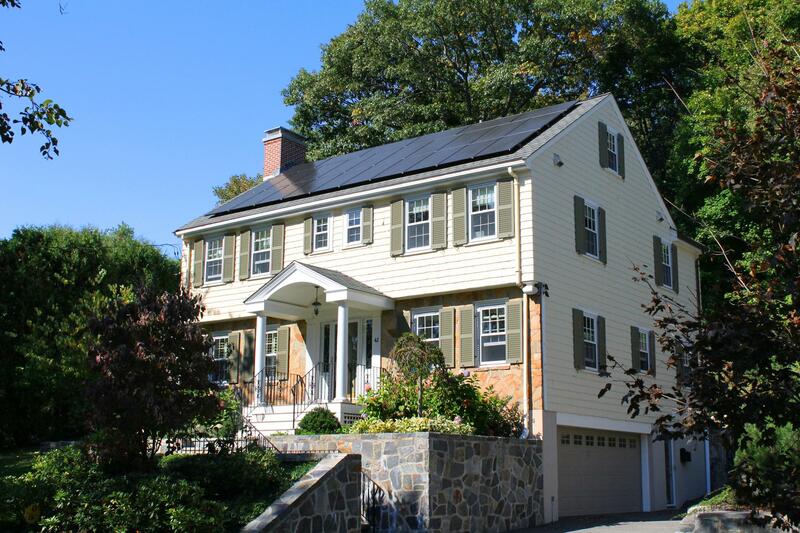 "Solar system installation in Melrose"
The Sunlight solar team were very knowledgeable and provided us with options to help us achieve our goal. Once the project was underway, Sunlight's team were responsive, professional, and always on schedule. There were no surprises and they continue to monitor our system and help guide us through the elements of working with the utility company. 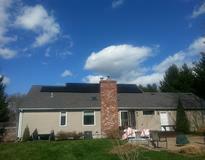 My system has been working perfectly and both the installers and staff were very helpful and nice. I have had negative electric bills since the install.